Royally awkward? Prince Harry’s ex-girlfriends Chelsy Davy and Cressida Bonas both attended his cousin Princess Eugenie’s wedding to Jack Brooksbank at St George’s Chapel at Windsor Castle on Friday, October 12. Harry, 34, snuck into the nuptials with his wife, Duchess Meghan, before the ceremony started. It’s unclear if the Duke and Duchess of Sussex spoke to Davy, 32, or Bonas, 29, at the nuptials. Harry dated Davy on and off from 2004 to 2011. A source told Us Weekly in January that the former couple “remained friends long after ending their relationship.” Davy, who is also friends with Eugenie, attended Harry and Meghan’s wedding at the same location in May. Bonas, meanwhile, was Harry’s last long relationship before he met Meghan in June 2016. Eugenie set up the duo in 2012, but they called it quits in 2014. A source close to the model told Us the breakup was “amicable” at the time. Bonas also attended her ex’s wedding to the former Suits actress. Days after the famous nuptials, a column she wrote for U.K.’s The Speculator about wedding attire was published. 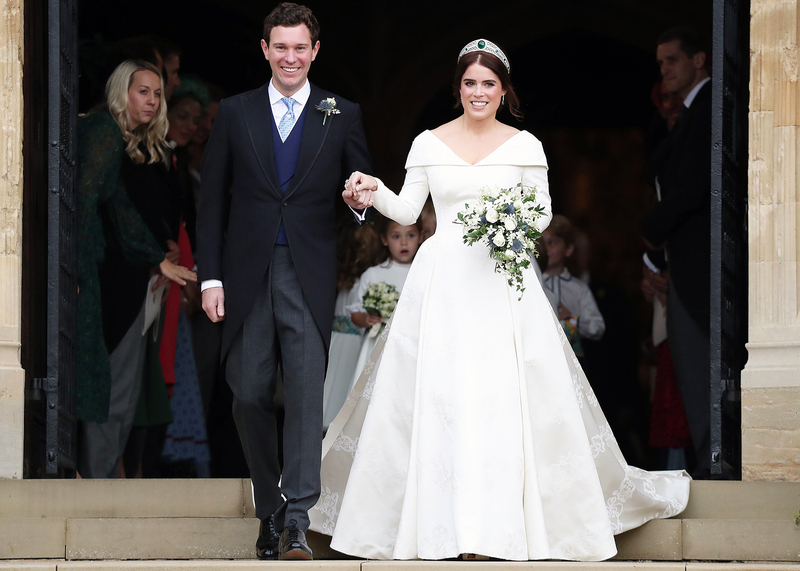 More than 800 people — including Prince William, Duchess Kate, Prince Charles, Queen Elizabeth II and Prince Philip — watched Eugenie and Brooksbank tie the knot on Friday. Celebrity guests also included Naomi Campbell, Kate Moss, James Blunt, Cara and Poppy Delevingne and Demi Moore.